Now available is the first in a remarkable and truly informative series of Perry McGee’s tracking books. 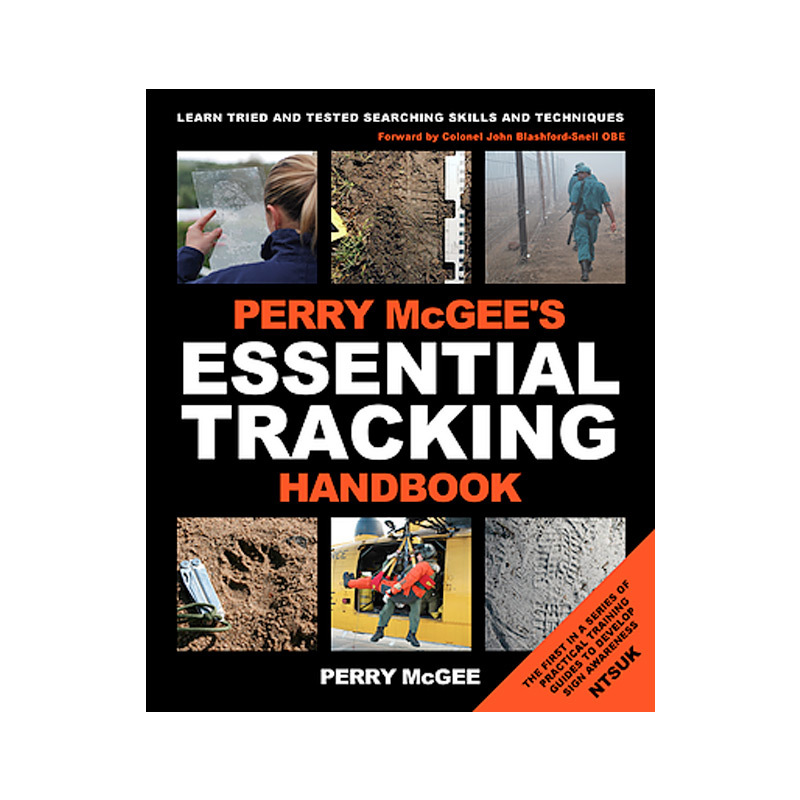 Beginning with the Essential Tracking Handbook, the series will deliver an in depth journey into the fascinating world of tracking (sign awareness), all written in Perry's informal and engaging style. A sequel will be the Definitive Tracking Handbook and anyone with an interest in outdoor pursuits will benefit from the tracking skills and techniques that this series will educate and expand upon. Illustrated by Perry and featuring hundreds of his own photos and diagrams, you will learn how to become aware of "signs" and how to interpret them. Even if you are an experienced tracker, Perry is bound to surprise you with his depth of knowledge, hints and tips; encouraging you to learn new skills and develop your interest and ability. Packed with essential information, this unique handbook will prove to be an indispensable guide to some of the skills and techniques of modern sign awareness and was created for those who share the outdoors. This handbook also makes an excellent ready reference tool. With clear instructions and diagrams to illustrate the skills and techniques used in tracking. A must have book for all outdoor enthusiasts and trackers.